What are some of the habits of happy families? Feel like maybe your family could be happier? A stressful schedule of school, work, and daily life is the norm. How can we make sure our household stays upbeat and positive in the chaos? Whether you're eating healthy together or doing family crafts, the keyword here is that you're spending time together. Does your family already have these healthy habits? What other habits would you add to this list? Let me know in the comments below! Looking for some new Christmas traditions to start this year? We've got you covered! I'm guest posting at My Love for Words today and talking about some wonderful ways you can bond with your family over the holiday season. You may be following some of the same traditions your parents had when you were growing up. But if you're looking to shake things up this season, I've got some great ideas. For example, one of my favorite traditions is to pass out "Golden Gifts" on Christmas Eve. These presents aren't fancy or expensive. They're just new pajamas and socks to make sure our Christmas morning pictures look great. Who doesn't like to open gifts a little early? Personally, I've found that creating our own traditions has been a great way to make sure we take the time to focus on our family during the chaotic weeks in December. Hope you click on over to Emily's blog and enjoy the tips! 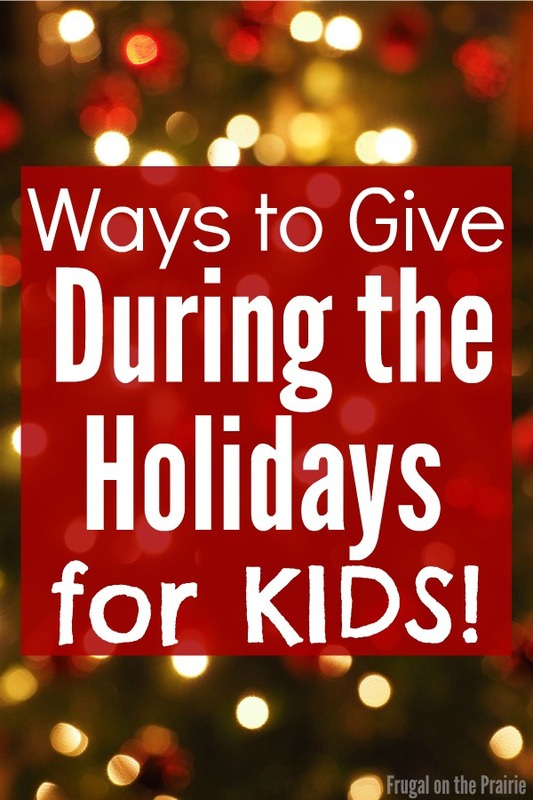 Ways to Give During the Holidays for KIDS! Hooray! Today I'm guest posting for my friend Emily on her beautiful site My Love for Words. It's so hard to avoid the frantic chaos that presents and parties bring this time of year. While I enjoy a good gift and some cozy get-togethers, I certainly struggle with finding time to give back to my community. For our little ones, it can be even harder as finding a kid-friendly volunteer opportunity is nearly impossible. I've pulled together some of the easiest ways your child can get involved and give during the holidays. I know we're all watching our finances closely this season so I've even kept these ideas budget-friendly! It doesn't take a large monetary donation or chunk of your time to give back to the community. By ensuring your kids are remembering to think of those in need, you are helping them have a more fulfilling holiday season. I hope you enjoy the post! How do you help your kids give back during the holidays? Rain, rain, go away because I have a toddler who does not want to stay inside! We experienced some mighty big raindrops here in Houston this past week. And while I could snuggle up with a good book and listen to the rain for hours, my toddler is not so inclined. He really had a lot of pent up energy by the time we moved onto Day 2 of the thunderstorms so I had to get creative. Here are 25 rainy day activities for a toddler. Build a fort out of pillows, blankets, chairs, couch cushions, and anything else you can get your hands on. Bake a delicious treat like these Pumpkin Pie Spice Cookies for Two from Budget Bytes. Pretend you're in a library. "Check out" some of the books you own already and read them with your child. Play dress up and throw a tea party. Cook a delicious meal together. Dress up in your raincoats and rain boots and go splash in the puddles! Blow up balloons and toss them around the house. Relax with a children's movie and some hot chocolate. Build a car or spaceship with an old cardboard box. Play dress up and have a fashion show. Create homemade cards for relatives or friends that may be lonely or live far away. Go "swimming" by putting on swim suits and letting them play with their favorite water toys in the bathtub. Play "Secret Agent" and go on a mission. Hide an object under a piece of furniture and use flashlights to help your toddler search for it. Play Grocery Store. Use small cans or boxes from your pantry if you don't own plastic groceries. How do you keep your child busy on a rainy day? My husband and I had our first child when we were 24. We didn't feel young at the time but when I look back I realize that we were still just kids. That didn't stop us from crossing off an entire pre-baby bucket list of things we wanted to do though! Whether you're having a baby or are simply thinking about eventually having one, now is a good time to contemplate what you'd like to accomplish. Time flies and when you have a tiny person to take care of, it flies by even faster. Here are 17 things you should do before having a baby. Let's be honest about vehicles for a moment here. A sports car may get you to and from work but where does the car seat fit? What about the stroller? If you've always wanted a Mustang (and you can afford it), get it now! You can pray for a safe delivery and a healthy baby but you can't totally avoid unexpected expenses. They will come up and if you're already in debt, they'll just pile on top of that. Start your journey in parenthood on the right foot by getting out of debt and even building a nice emergency fund. Sticky fingers and spit up will ruin your favorite pieces of clothing if you're not careful. And even though I wouldn't trade my son's sticky fingers for all of the cashmere in the world, it was nice wearing it when I had the chance. I'm serious about this one. Get your bum out there and experience different cultures. A baby takes up more luggage than you and your spouse put together. Take advantage of less-stressful travel by going places today. Sleep as much as you can! I used to take weekend naps before my son was born. At least I think I did. It was so long ago that I can barely remember. Nothing too dangerous! But try skydiving, car racing, or whatever hobby you'd like to do that's a bit on the edge. The responsibility of having a tiny human will make you think twice about putting yourself in danger. I really regret not doing this before we had children. I have tons of old photos from college that I'd love to print and put in an album, but right now I can barely keep up with the baby book. My husband and I have gone on two dates since our son was born...16 months ago. We're not complaining, trust me. We're mostly homebodies to begin with. But if you like to go out on the weekends, it's going to be much harder when your child is born. Believe it or not, finding a babysitter is the easy part! The hard part is finding the energy or money to actually want to go out. I also encourage visiting the movie theaters often. It's such a basic date but I miss those outings a lot! It's so easy to overlook this kind of detail but I miss the ability to try on clothes in a dressing room without dragging a stroller and a baby along with me. Now I shop online or grab something at Wal-Mart while I get the groceries (yes, you read that correctly). My husband and I have left a restaurant before our meals arrived because the baby got too fussy. Meh, life happens. So enjoy having a server refill your overpriced beverages as much as you can. There's an unwritten rule about parenthood that says you can't drink an entire cup of hot coffee without having to reheat it at least once. Ask anyone with children under the age of 5. Have all of your friends over, cook tons of food, and play loud music. Parties with children underfoot typically end when there are no more Daniel Tiger episodes left to play. Go out dancing, bar hopping, or catch a late show. The goal is to stay out having a good time until the clock strikes midnight. I don't even remember the last time I was awake beyond 11pm but it was definitely before my son was born. One day your child will be fussy in public and you'll have to deal with a less-than-understanding fellow shopper. It stinks. It really does. So please be kind and patient with all those other parents out there. Because at some point in the future, that flustered parent will be you and you'll appreciate a kind smile from a stranger. ...because you'll never be able to do that again with a child in the house. I still read plenty of books as a mom but it's much harder to find the time than it used to be. And taking a cooking class or getting that college degree you really want? It's possible to do it with children but it takes a lot of hard work and dedication. Go to school before you have children while you have the chance. Manicures, spa dates, and all other forms of relaxation will be harder to come by (though not impossible!) when you're a parent. Spend all the time you want on hair and makeup when you go out. Pre-baby, I had an entire routine that took me almost 30 minutes. Nowadays, I rock a 5 minute face and ponytail like nobody's business. Having a baby does not mean the end of a good life (quite the opposite, if you ask me). But there are limitations on things you will feel comfortable doing or will have the time to do once children arrive. Take advantage while you have the chance! What's on your pre-baby bucket list? My son had an Oscar-worthy meltdown in our public library and I decided that my parenting strategy needed a little fine tuning. James wanted to push the stroller, not ride in it. This is usually okay but in the small space of a library, he just kept running into shelves. I picked him up and he screamed as loudly as he could (my head is still ringing) so we quickly left. My husband and I are gentle parents. Our own relationship thrives on a foundation of respect and you will rarely (if ever) find us shouting or using a strict authoritarian approach with each other or our son. But James is still a passionate, naturally developing boy who sometimes throws a good tantrum. Obviously, he can't run rampant but I don't want to just raise a respectful, well-behaved child. I want to foster a close relationship him. How do I connect with my son while still maintaining the role as a parent? I'm fortunate enough to know Nina through our own blogging group and was able to read the book before the release date and interview her about it. Besides being a genuinely sweet person, she's a treasure chest full of wonderful parenting advice. Her book includes tactics on communicating with your child and preventing/diffusing tantrums. "You want to build a relationship with your child where he can tell you anything and you would still support him no matter what. That can only happen when you allow your child to talk without judging his thoughts or actions. Don’t call his dreams silly or go on and on about a mistake or accident he made. In fact, thank your child for telling you the truth even if it means he’s in trouble. He was brave enough to tell you the truth and admit his faults when he could have easily kept the truth from you to avoid punishment." Parenting with Purpose is a practical, eye-opening and action-oriented book that explains how to use connection to raise well-behaved kids and strengthen your parent-child relationship. Thank you for the opportunity to interview you, Nina! How did you get started with your blog? I started Sleeping Should Be Easy (sleepingshouldbeeasy.com) in March of 2010 as an online parenting journal. My eldest was four-months-old at that point, and the blog was my way of writing about things we did during the day. More importantly, I also wrote down lessons I learned as a mom and the parenting advice I read about and applied. Soon, other parents wrote in with positive feedback, saying the advice they found on my blog was very helpful with their own parenting journey. What inspired you to write Parenting with Purpose? Namely, my readers. I love getting a response from a reader saying a post I wrote had helped them. I figured I could help more people with a book. I also like the idea of having one central place that contains all the themes and principles that guide my parenting. How does Parenting with Purpose compare with other parenting books? Parenting books out there have shaped so much of how I raise my kids (I list my top picks in the resources section in the back of mine). And to be honest, I hesitated writing a parenting book. I’m not a doctor or hold a PhD. Still, I’d like to think Parenting with Purpose speaks to “regular moms” much in the same way my blog resonates with those of us “in the trenches.” It’s relatable, honest, and I hope doesn’t make anyone feel guilty but rather inspires them to be mindful and intentional in their parenting. Another key factor in Parenting with Purpose is that there is no one-size-fits-all solution. You won’t do the things I recommend in the book and suddenly have perfect, well-behaved children all the time. Rather, I advocate to do what works for you, your child, and that particular moment using tools I recommend in the book. Because what works one day may not the next, or what works for your eldest may not work for your youngest. How does writing a book compare to writing a blog? Both are equally exhausting! Writing a blog is like telling someone the fantastic new ideas you came up with. Writing a book is like gathering all your overarching ideas in one place. This is my first book and I’ve been blogging for five years so this may not be a fair comparison, but writing for a blog seems much easier than writing for a book. There was that self-imposed pressure to come up with enough words to make a book. You have to proof for quality and edit over and over. You also need more people on your team when writing a book, such as a an editor, a book designer, and web and ebook coders. How did you get your ideas for the book? How long did it take you to write the book? I wrote an outline of the top themes that guide my parenting and that I often talk about, such as empathy, connection, and parenting calmly. I then divided the book into three parts, sort of like the “before,” “during” and “after” the struggles with our kids. The first part talks about how to prevent outbursts and conflict to begin with. Part two is what to do when they happen (because they still will). And finally the third part is the important stage where we self-reflect on what we can learn about what happened. As far as how long it took, I did a crazy thing and gave myself 30 days to write the first draft. I knew if I didn’t, I would stew on this idea, let excuses take over and it would never get done. So within 30 days, I had the first “garbage” draft, where I wrote without editing and it was almost too embarrassing to even show anyone. After that, I self-edited for about two weeks so that it looked presentable. Then, I sent that draft to the editor, and we worked on it for two more weeks. During that time, I also had the book designed, the landing page coded, and I made my media kit. Now, it’s the marketing phase where I try to get the word out there before the book launches next month. So I would say about three months total from start to finish. Where can we buy the book? Will there be a Kindle version? Parenting with Purpose will be available October 18 on Amazon on paperback and Kindle. In the meantime, you can stay in the know by going to my landing page here. You can also take a sneak peek and download the Bonus Chapter free when you sign up for the newsletter. After Parenting with Purpose launches, I’m going back to my blog to focus on all the tasks I’ve since neglected :) But after a month or two of that, I plan to write another, probably shorter book about sleep training twins (which is one of the most popular topics readers come to my blog for). Where can my readers connect with you online? What is some of the best parenting advice you've ever received? Ever been to the beach with your kids and realized you left something important back at the house? We have been the family that left diapers behind. Can you believe that? We had six toy shovels but not one diaper. I put together this beach packing list for kids so that it would never happen again! Going to the beach can be stressful when you're worried about heat, water safety, food, and honestly just making sure everything fits in the car. The last thing you want to think about is whether or not you're missing something. Just go through this easy list and you'll never arrive at the beach without your essentials again. Do you have enough spare hands to put up an umbrella or tent? If your child naps while you're at the beach (lucky you!) you'll want to make sure they stay in the shade with something like this. Never underestimate the importance of sun protection! My kid's a wiggler so we like to use a squeeze bottle this one from Coppertone. Baby and toddler skin is especially sensitive to the sun. I know it's hard to resist those adorable tiny bathing suits but for the sake of avoiding sunburns, try to provide bathing suits with plenty of coverage. Osh Kosh B'gosh has some really cute designs. Are you going to be enjoying the beach for hours at a time? Be sure to bring a comfortable hat and/or kid-size sunglasses. Swim diapers are a lifesaver when your kid wants to play in the water but don't count on them as regular diapers. It can turn into a huge *ahem* mess. Your child may need to change into a regular diaper for a short period, then want to head back into the water. Tip: Pack double what you think you would use and then an extra one just in case. You know the baby powder trick right? Just pour a little on your child's arms and legs and the sand will rub right off. Just make sure you don't over-powder them as inhaling very much isn't good for their lungs. This one is obvious but I'm still going to mention it. Bring tons of water in a cooler and then some. Keep your child hydrated! I'm a sucker for the kiddie versions so if you can find a mini pirate version like this, then you're totally rocking it in my book. Because you can never be too prepared! We have this one. Don't forget the aloe vera or any other sunburn treatments you might like, as well as your child's prescriptions if they're taking anything. My son is allergic to peanuts so we are sure to list his EpiPen so it's not forgotten. Life jackets, floaties, and any other safety devices that will give you peace of mind should be packed. Your child may eventually tire of the sand and the water and just need a fresh change of clothes and a good nap. We basically camp out at the beach all day long so I bring at least 2 spare outfits like this for my little man. When my son started walking he wanted to run all over the beach but his little feet couldn't handle the warm sand. We bought him beach shoes like these and now he's free to roam, which is stressful and wonderful all at the same time. I know this seems like a ridiculous item but every.single.time. we go to Galveston I get stung by a jellyfish. If you or your little one get stung just pour some vinegar over it and the sting will slowly go away. Trust me, it works every time. So you brought the swim diapers but what about the regular ones? We forgot to pack ours on one trip and the swim diaper leaked all over the car seat on the way home. Fortunately, we had access to a washer and dryer, but what if we hadn't? Be prepared, friends! Don't forget that the sand gets hot so be sure to bring a beach mat or adorable kid chairs like this one by Melissa & Doug. I know the summer is essentially over and a lot of schools are already in session. For a lot of you, that means you won't be going to the beach anytime soon. But if you're lucky enough to live close by then you might be able to make a few weekend trips throughout the school year. Having an easy list to follow like this one will give you peace of mind so you can relax (as much as a parent with a young child can) and enjoy the ocean. Have fun! What do you bring to the beach for your kids? When I was pregnant I loved reading Baby Must Have lists and making a shopping guide of my own. Initially I purchased much more than 13 items because I was a first time mom who didn't know what the heck she was doing! But now I've got some experience under my belt (and a lot of unused newborn shoes) and I can tell you with confidence that we have used and loved every single one of these items at some point. This post includes affiliate links. Please read my Disclaimer for more details. 1. Stainless Steel Step Trash Can 3L: Diaper Genie's seem to be all the rage but they can get a little pricey. I find that a regular trash works just as great. Look for a product made of thick plastic or stainless steal and buy the sturdy black trash bags to go along with it. Tide- Free & Gentle: Newborn baby skin is so sensitive that you need a gentle detergent to do their laundry. I save a little money by purchasing Tide so I don't have to buy baby detergent and detergent for our own clothes. My son has really bad eczema flares and this is one of the only detergents that doesn't irritate his skin. Philips Avent Soothie Pacifier, Blue: Your kid might love them or they might hate them. Regardless, they're cheap enough that if they give you just 30 minutes of soothing your fussy baby, you'll be happy you had them. Those early weeks are so intense that any relief will be greatly appreciated! Braun Forehead Thermometer: When you have a baby less than a month old, you will worry about any change in temperature or appearance of fever. The hospital may send you home with a thermometer but if your child is a wiggler like mine, you won't have a very good chance at getting an accurate reading. Look for a product with a non-invasive technique and quick readings, like the one listed above. FridaBaby Nasal Aspirator: You know the nose suction devices they give you at the hospital? Those are archaic compared to this gadget! The Swedes really know what they're doing when it comes to clearing a baby's nose. My son occasionally suffers from intense allergies. We only have to use this once or twice before he is able to breathe through his nose and sleep peacefully again. I highly recommend you have this on hand! Medela Breast Milk Storage Bottles: You'll need a little bit of feeding gear regardless of whether you breastfeed or nurse. Check with your insurance provider before you purchase a breast pump. I received the Medela Double Breast Pump, gear, and breastmilk storage baggies for FREE because it was covered under my plan. That's over $200 saved! aden by aden + anais Swaddleplus: Oh man these are high on the list! You know those blankets they send home with you from the hospital? Meh. They're okay. But my son was born in Texas in the summer. Those blankets were way too think for him, even as a newborn. These aden + anais swaddler blankets are out.of.this.world! They're made out of cotton muslin so they feel incredibly lightweight while also being extremely durable. And the size is perfect, being large enough to swaddle even my chunky little man. If you're worried about actually having to swaddle, I completely understand. Baby's like to squirm and it makes it nearly impossible to swaddle them. These Summer Infant SwaddlePods are an easy solution because of their zip up feature. Keep in mind that you'll have to buy larger sizes as your baby grows. But the convenience may be worth the extra cost! Graco Pack N Play Playard with Bassinet: You may have the luxury of fitting a baby crib in your room. But if you don't, you'll want to have a smaller, portable bed nearby for those early months. We purchased a Pack N Play that turned into a bassinet to save on space. It worked out great! And it was a good thing we went with it too because my son ended up growing so quickly that an actual newborn bassinet would've been a waste of money. 9. Dependable, Safe Car Seat. Britax B-Safe 35 Infant Car Seat: Learn from our mistakes. We purchased an affordable car seat to save a little bit of cash. We were fortunate that we never got in an accident but that thing was made of cheap plastic and didn't feel very padded or comfortable at all. I will never use any other brand but Britax, even with their expensive prices. The quality is far and away better than anything else I've seen and it's the only car seat I feel safe putting my baby in. I highly, highly recommend them! Safety 1st Steady Grip Infant Clipper: Babies are born with long nails. It's kind of bizarre to see but it's not like they had time to get a manicure done in there, right? Invest in a set of small nail clippers or scissors to safely trim the nails away. You'll want to look for items that offer you a lot of hand stability, either with a long or thick handle. Gerber Birdseye Flatfold Cloth Diapers: Get ready, my friend, because that darling baby of yours is going to spit up...a lot! You're better off having too many burp cloths rather than not enough. I love this type from Gerber because they are lightweight and absorb very easily. Not sure how many you need to buy? As a point of reference, I purchased one 10-pack and did laundry twice a week. Graco Portable 2-in-1 Swing: I wish you could look into a magical ball and see if a swing or a bouncer will be your go-to for soothing a fussy baby. Personally, our son loved his swing and it soothed him almost every single time. Unfortunately, kids will quickly grow out of them so keep that in mind when you're purchasing. The swing I list here isn't fancy but it was definitely a lifesaver. Graco LiteRider Classic Connect Stroller: If you splurge with the car seat you don't necessarily need to splurge with the stroller too. We bought a fancy schmancy stroller and our baby absolutely hated it. We also owned this affordable one from Graco and he loved it. Go figure. Whatever you go with, try to find one with the most adjustable seat back. If it can sit upright, your child will be able to grow and still use it when they're a little older and want to be engaged with their surroundings. Every must-have list is catered towards the needs and preferences of the writer and I guess mine is a little bit like that. You may not need all of the items on this list. But I can guarantee you I would have been lost or just plain miserable without each one! They have helped soothe my baby, thus also soothing me. Best of luck to you expecting Mamas out there! I hope you find at least one item from this list that saves your day. 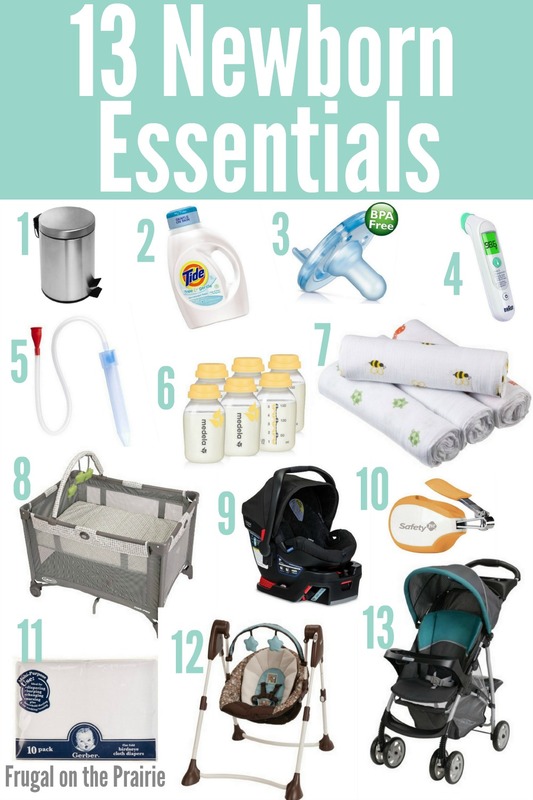 What are your newborn essentials? What surprised you most about what you couldn't live without? Summer is here and it's time to go on vacation. Hooray! But are you worried about staying in a hotel with kids? We've spent a lot of nights in hotels this year. By a lot I mean that we've spent a total of more than two months traveling since the beginning of the year. What can I say? The Hubby travels a lot for work and we hate being apart from him, especially with James being so young. But sleeping in a room the size of our living room is HARD! We've made every traveler's mistake in the book. We've packed too much, we've packed too little, we've been overly organized, we haven't been organized enough. You name it, we've done it. 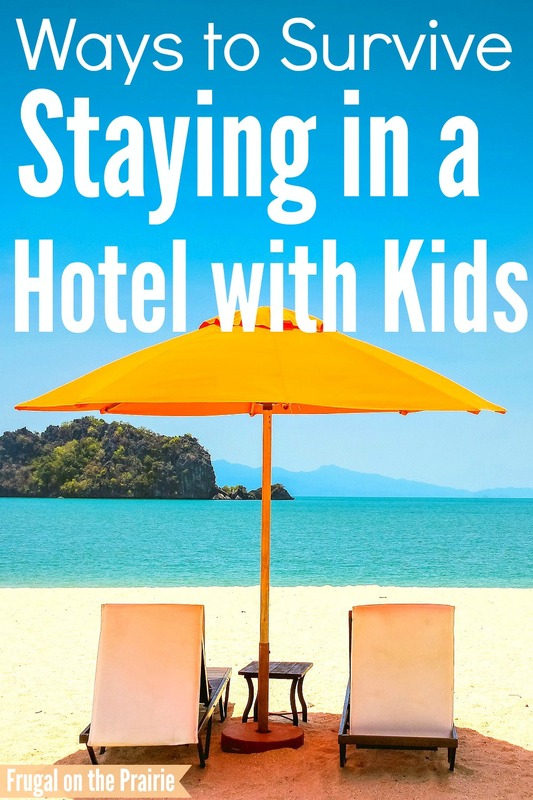 Because of these adventures, I've got a lot of suggestions on how to survive staying in a hotel with kids. Hotels can be expensive. Trust me, I totally get it. But if there's room in the budget or a deal that can be nabbed, book a suite. And if the miracles are raining down, try to get a balcony too while you're at it. The suite will give you that extra leg room you'll need to survive and the balcony can be your safe haven after the kids have gone to sleep. 2. Ask for a lonely, corner room. You know what makes a vacation really hard? A fussy baby and a cranky hotel neighbor. We both know that you're doing your very best to calm Junior down so don't let any less-than-understanding guests bother you. It's helpful to avoid these situations by asking for a corner room, away from other occupied accommodations. This will keep any loud noises from disturbing your little one's sleep. 3. Move all of the furniture to one side of the room. It's time to use those muscles!qa No vacation is really time off when you have children, right? Fortunately, most furniture in a hotel room can be moved. Before anything is unpacked try to arrange the sitting chair, working desk, desk chair, and bed frame away from the middle of the room and towards one or two walls only. Don't worry about the way it looks. You need to have a play area for the kiddos and this is one of the fastest ways to do it. If they feel cramped and unhappy, you will too. 4. Immediately search for safety hazards. Now that you have the layout all set up it's time to start searching for anything your child shouldn't touch. I've found a random Aspirin and a sewing needle on the floor in two separate occasions. Kids are always exploring. Don't let them find something you wouldn't want them playing with. 5. Spray the surfaces with Lysol. Yes, I'm that mom. When I walk into a hotel I'm already thinking about the many feet that tread on the floor before me. But what can do you? You're stuck staying there. Spray the floor and surfaces and just do your best not to think about it beyond that. There's only so many germs you can avoid, but it's nice to spray at the very least. This trick is really simple. Unless you're trying to put someone to bed open the shades and let all that beautiful Vitamin D inside. The bright sunlight will give everyone a cheery demeanor and make the small room seem a little bit larger. 7. Deadbolt and lock the doors every time, all the time. Oh, your child can open doors? There nothing to stop them from going out of the room if they are left unlocked. You can't depend on never needing to take a shower or go to the bathroom. So play it safe and deadbolt and lock the doors every minute you spend in the room. 8. Bring the slow cooker and ice cooler. If you have any intention of staying healthy on the road, you can't eat breakfast, lunch, and dinner at fast food restaurants. Our family likes to make a shopping run to the nearest Wal-Mart, buy a prepackaged pot roast and vegetables pack from the meat section, and have a hearty slow cooker meal. You can also use the hotel's ice machine to keep things extra cold in your cooler if you need to. Fresh fruit, deli meats, and bread can all be eaten on the road. You just have to plan and be prepared. Occupied children are happy children. Let each child bring their own bag of toys, even if it's the smallest bag you can find. That will allow them to have their favorite items without taking up too much space. We also like to pack books and puzzles in addition to the toys. They are the perfect "quiet time" activities. Bring Ziplock baggies if you're worried about losing pieces. Don't stop the packing at fun and games though. I have a list of basic essentials for traveling with a baby that I bring on every single trip. I always think that you should hope for the best and plan for the worst! Our son has had eczema flares and allergic reactions on nearly every vacation we've had, poor little man. 10. Scope the local parks and downtown areas. Let's be honest here. You can only survive a hotel if you have a chance to leave it every once and a while. You need to find things to do with your little one whether you're in a large or big city. Start by doing a quick browse through the welcome binder or packet that comes with the hotel room. If there's nothing there, TripAdvisor is the first place I go. I have found and eaten at the best restaurants of my life because of that site. The reviews are so valuable! 11. Utilize the pool and other hotel activities. Taking your kids to the pool is kind of a no brainer. The exercise will totally wear them out and ensure a peaceful, quiet night for you. Look for hotels that offer other miscellaneous activities too, even if they're not specifically for children. Our favorite accommodations have a Happy Hour buffet of appetizers and free beer and wine every weekday. Our little one fills up on food and I get to have a little "Mommy juice." Everybody wins in this scenario. 12. Ask for a crib, pullout couch, or rollaway bed. You probably didn't have room in the minivan for a playpen. And if you're not co-sleeping then you definitely need an alternative option. Hotels will almost always provide a complimentary crib at your request. Just be sure to call in advance to make sure they have one available. The Hubby and I like to put James to sleep on the pullout couch, turn the lights low, and enjoy some yummy food while watching the History Channel. It's the closest thing to date night we can get to. 13. Relax about the bedtime routine. Does your child have a consistent bedtime routine where they fall asleep in their own crib at 8:30pm? (If so, please share your magic secret because that's never happened for us.) Be prepared to completely forget their bedtime schedule. Your child is traveling and in a new environment. Nothing will seem like home to them and they may fall asleep way earlier or later than normal. The sooner you relax about what's going to happen, the better off you'll be. 14. Pack a book light and your favorite technology. Thankfully, your baby fell asleep at 7:30pm. But are you supposed to sit in a dark room or fall asleep too? You don't have to if you plan ahead of time. Bring a book light so you can catch up on a new novel or watch a good movie on your phone or tablet. Just don't forget to pack the headphones! And if your hotel has free wifi be sure to use it so you don't go through all of your data. *ahem* Been there, done that. The last thing you should do is panic if you're going on vacation with your little one(s). These are the precious years and you don't want to waste them worrying. The key to a successful stay in a hotel room is a combination of preparation and relaxation. If you're feeling calm, the kids will sense it and become calm as well. Keeping them occupied, well fed, and safe will give you a wonderful family vacation! How do you survive staying in a hotel room with kids?